Ahhh i didn't make it into the complimation picture, was there issue with the image? Oh no! I swore I right-clicked and downloaded them all! We'll update and get you in there, @Niko! ahh, i thought i had messed up with the image link or something. My favorite part of Stonewall is the amazing creativity and talent that we have in our community. On that note, I'm really excited to share with you all, @MoonBeamSpectrum's amazing video trailer that he created, in honor of our upcoming Halloween #FrightNight18! Check it out!! Just wanna say, that was a great amazing frightening Fright Fest! Well done, thanQ for organizing and participating, saving Stonewallvania from the Zombiehordes and and and. We had much fun, but next time we make the pumpkin cookies with chocolate, okay? Oh, and glitter sugar candy, that would be nice. Just joking, nothing to complain, this weekend couldnt be better! Amazing effords, really stunning! Supplemental: Just discoverd the screenshots from the fashion contest on Discord. Really great, we like them very much. Very good work, leaves only one question: Do you sleep like normal humans Dave??? Thanks so much for coming out and joining the fun this month! Glad you enjoyed yourselves and thanks for the screenshots you posted! Not to worry - I catch a nap or two between events! I actually have a different question: why are they not posted in the forum? I tried to view them, and I only saw a series of grey boxes with smaller blue boxes inside them doing the loading dance, followed by a poop emoji. Pretty sure I didn't see that costume in any of the lineups. 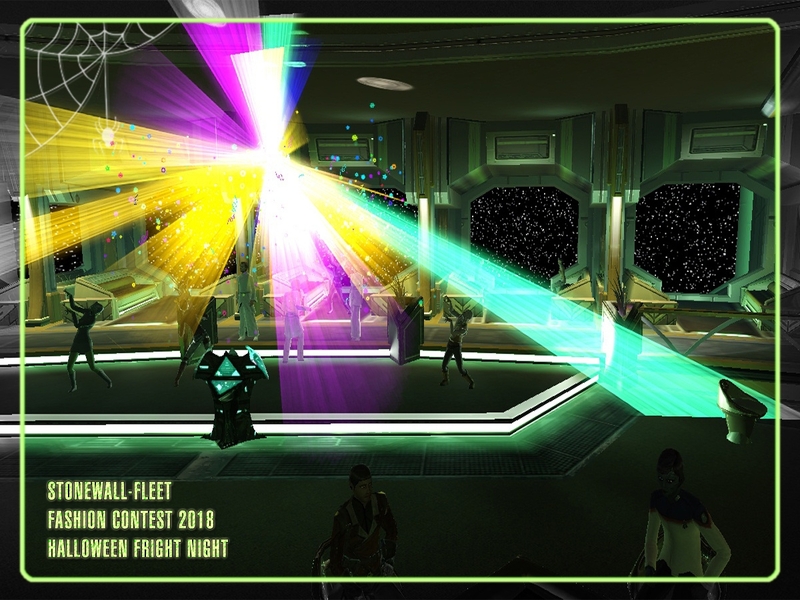 Stonewall Halloween 2018 Fright Night Fashion Contest! Click the links to view the sets! Have fun!